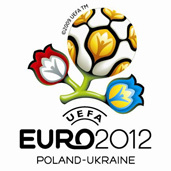 UEFA president Michel Platini confirmed that the final decision concerning EURO 2012 host cities will be taken in December. During his of the western city of Poznan, Platini said that four Polish cities – Gdansk, Wroclaw, Poznan and Warsaw – as well as the Ukrainian capital, Kiev, have initial approval to host the event. The decision was conditional in the case of three remaining Ukrainian cities, however: “These cities have five more months to work on their progress,” he said. The UEFA president denied reports that UEFA is planning to send incognito delegates to further check Poland’s preparations. “I have total trust in whatever Poles present to me. What’s more, what we are seeing now looks good,” he said. While in Poland Michel Platini inspected the construction of stadiums as well as met with mayors of the relevant cities, infrastructure development and recruitment of voluntary staff. He also had lunch with Poland’s former president Lech Walesa in Gdansk. Meanwhile, Sports Minister Miroslaw Drzewiecki and the representatives of PL2012 – a state- owned company created to supervise the preparation process to host the EURO 2012 football championships – are to meet today with a delegation of investors from Saudi Arabia. Talks will focus on possible participation of Saudi companies in investments connected with the event. Minister Dzewiecki is hoping the Saudi’s will be interested in building hotel infrastructure.